The applied mathematics of computer system engineering used to specify and model the behavior of a system and to mathematically verify that the system design and implementation satisfy system functional and safety properties. Presents informal way of attempting a mathematical proof of reliability to make sure that our computer programs will work reliably. Also shows the benefits of the approach even without strict formality. 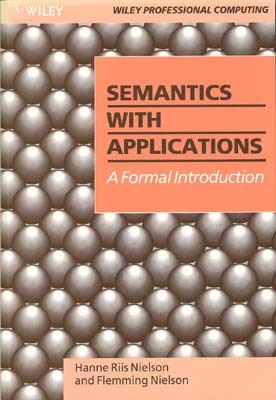 The book covers the foundations of structural operational semantics (where computations consist of many small steps) and natural semantics (where computations consist of one big step). Presents a classification of software vulnerabilities that focuses on the assumptions that programmers make regarding the environment in which their application will be executed. A gentle introduction of formal semantics for students with a basic grounding in discrete mathematic. Teaches a particular systematic approach to software development concentrating on the stages from specication through design to implementation. A textbook on programming with emphasis on specification and proof of programs. Includes the results of author's own research. This document shows to what extent functional programs can be designed in a calculational way. This study is about programming, as a design activity; it is not about programming languages, formal semantics included, nor about implementations.